Chase Johnsey. Photo by Ambra Vernuccio. Chase Johnsey is not afraid to be different. 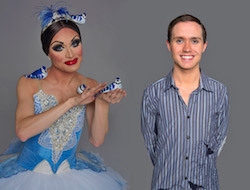 And from mimicking the line dancing in a Billy Ray Cyrus music video, to winning national titles in clogging, and now to performing male and female roles in the all-male comic ballet company, Les Ballets Trockadero de Monte Carlo, Johnsey’s uniqueness has brought him much success, and even a Best Male Dancer win at the 2016 National Dance Awards. Chase Johnsey. Photo by Carlos Renedo. While he may have faced some challenges throughout his journey, including being picked on as a youngster in school and navigating a less-than-ideal body type for a male ballet dancer, Johnsey found a way to carve his own place in the dance world and is now at home with the Trocks. And his story is one that is inspiring for dancers of all types. His journey began at age seven, when his parents saw him grooving to the catchy country tune, “Achy Breaky Heart”, and signed him up for clogging. Johnsey says it was an amazing start for him, despite the teasing at school. But he felt completely free in the dance studio and, after winning two consecutive national titles in the folk dance style, began to get curious about other art forms as well. He picked up the violin, which he played for five years, and which brought him to the Harrison School for the Arts in Lakeland, Florida, for its high school orchestra program. During his first semester, Johnsey caught glimpses of the dance department’s rehearsals, and something spoke to him. When instructors hinted that they were short on boys, Johnsey took the plunge, quit the violin and transferred to the dance department. And with natural flexibility and good beginning teachers, he was on his way to catching up. He names the late Petrus Bosman, who taught him at Virginia School of the Arts and showed him “the valuable lesson of dancing through emotion and with feeling”, Johnsey says. 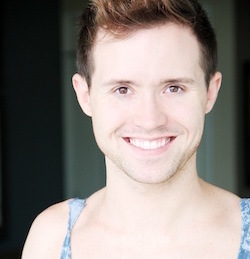 And he credits Carol Erkes from Florida Dance Theatre for first coaching him on pointe and becoming a lifelong mentor. Later on, when Johnsey became professional, he became inspired by the teachings of Elena Kunikova, Charla Genn and Pamela Pribisco. Chase Johnsey. Photo by Costas. Although Johnsey did have natural flexibility, he says his body, which is on the smaller side, did inhibit him as a male dancer. But then Johnsey saw a performance of the Trockadero company on TV. He says he watched in awe, as it seemed so “familiar” to him. He bought a pair of pointe shoes from Discount Dance Supply, found empty studios in which to practice dancing on pointe and set a goal to join the company. And in April 2004, he did. “Once I joined, I felt so liberated because I walked into a company with so many different skin tones, ethnicities, ages and training,” he reflects. 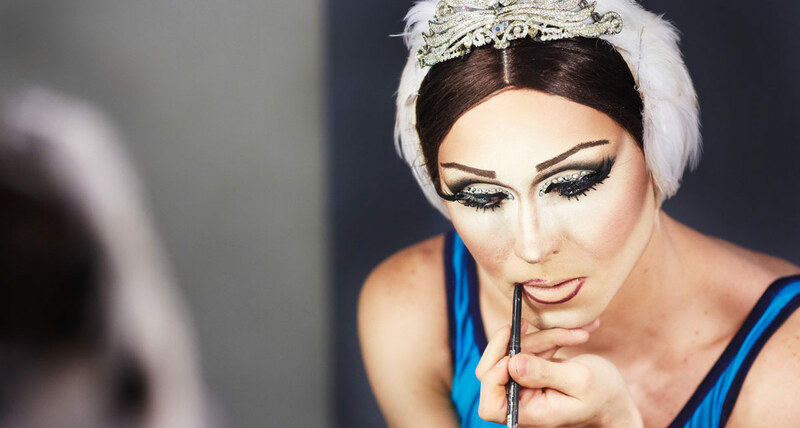 With Trockadero, Johnsey and the other dancers perform both male and female roles. They partner fellow Trocks in some ballets, and wear wigs, false eyelashes, tutus and pointe shoes in others. For Johnsey, his repertoire is often the technically challenging female roles and the more comical character male roles. And each dancer in the company is given a stage name for each gender. Chase Johnsey. Photo by Zoran Jelenic. Johnsey’s female personality is “Yakatarina Verbosovich”, and his male counterpoint is “Roland Deaulin”. While he says the Trocks are encouraged to be themselves, part of the challenge of their job is to do this “double duty”, often adding a comic element. Clearly, Johnsey has been doing something right. He has danced nearly every character in Trockadero’s repertory, including the leading roles of Odette/Odile, Raymonda, Kitri and Paquita. And in February, Johnsey was awarded Best Male Dancer at the United Kingdom’s Critics’ Circle National Dance Awards. The honor demonstrates not only Johnsey’s commitment and hard work, but it also marks the first time the Awards recognized a cross-gender performance. Chase Johnsey (center, in red). Photo by Zoran Jelenic. And Johnsey’s work doesn’t stop here. He has more roles and ballets on his bucket list and remains confident in being different, a trait that has, in turn, made him a standout. Do you know how Marley Floors got their name?